As far as beauty subscription boxes go, I’ve dabbled with a couple of popular ones in the past, and currently have one regular monthly American box (Wantable). To be honest I’ve not been amazed by the UK boxes on offer lately so I just didn’t sign up again. 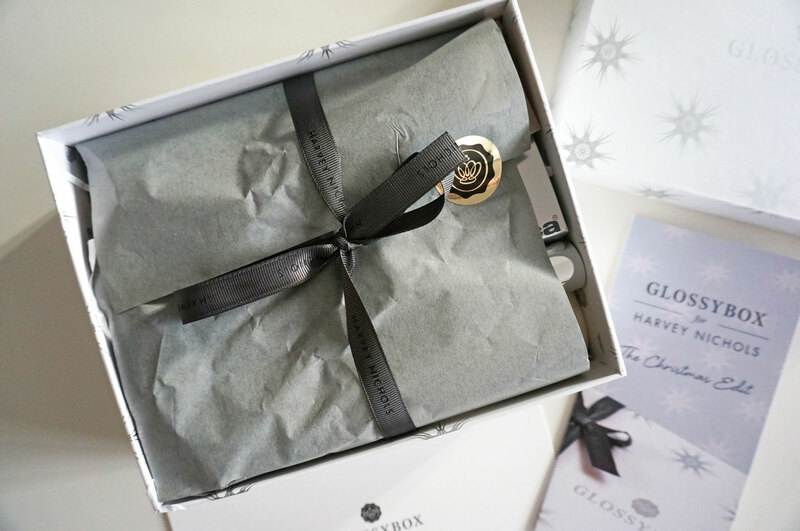 That said though, many beauty box companies offer special limited edition and one off boxes alongside their subscriptions – and this is where Glossybox comes in. They have teamed up with Harvey Nichols to bring you their very own limited edition box! It features some of the amazing brands found in the Harvey Nichols beauty hall – now this is definitely something to get excited about! Firstly, be impressed! I took this picture before ripping open the packaging – how very restrained of me! I love that they’ve even included Harvey Nichols ribbon and a gold sticker to finish off the packaging and to give the box a luxe feel. 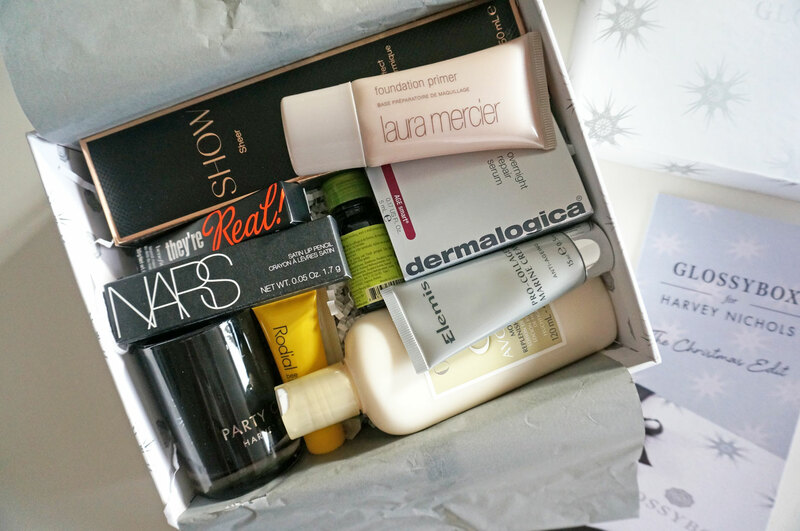 The Harvey Nichols box costs a very reasonable £30, which is more than the average £10 or so for the regular subscription beauty boxes, but the difference is this one has a massive £150 worth of products included from brands such as Laura Mercier, Rodial, NARS and Elemis! Amazing! I’ve read a couple of other reviews and it appears for a few of the products you will receive one of a selection. I believe this includes Show Beauty (hair products), OPI nail products, and the Harvey Nichols candle comes in four fragrances – Sleeping, Bathing, Dining and Party. I’m so happy with the complete selection, I already have and love the Laura Mercier primer, and NARS lip pencils are some of the best around so I’m super happy I have another one to add to my collection. I haven’t heard of Show Beauty before so I’m excited to try this heat protection spray out and see how it compares to my current fave. I also have to mention the Harvey Nichols candle, mine is the Party fragrance and I think I’m in love, it’s now one of my all time favourite candle scents. 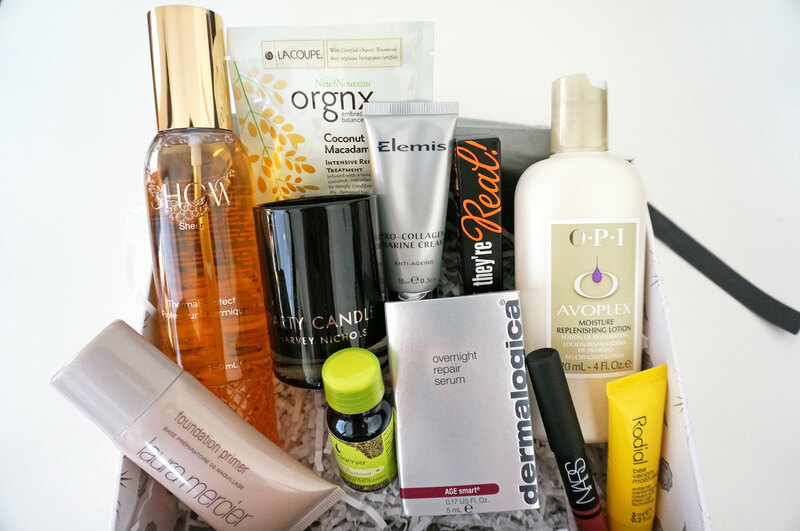 If you’re a beauty box fan, this is definitely not to be missed. For £30 this amazing bundle really is a complete bargain! 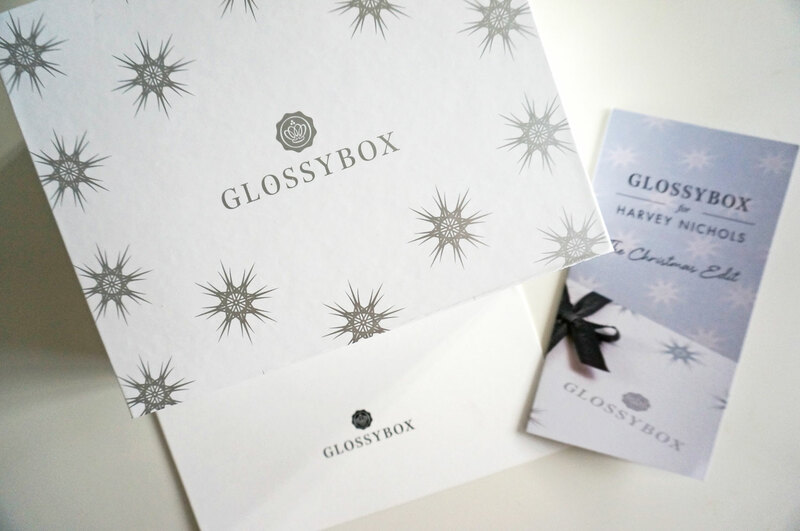 The Harvey Nichols limited edition Glossy Box will go on sale on 17th November, you can sign up here. Previous Post Jewel Candle Review & Giveaway!